This year, India held its biggest machine tool exhibition – IMTEX in Bengaluru. Marking five decades, the mega show displayed many innovative technologies and also emphasised on new technological trends i.e. Additive manufacturing and Industry 4.0. 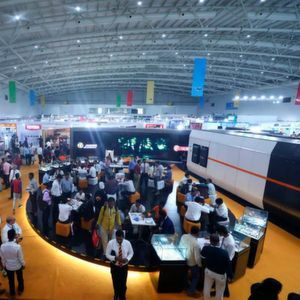 With these impressive figures, IMTEX – India’s biggest machine tool show created a new record! Celebrating 50 years, the massive show was hosted with great pomp and vigour in Bengaluru, India. 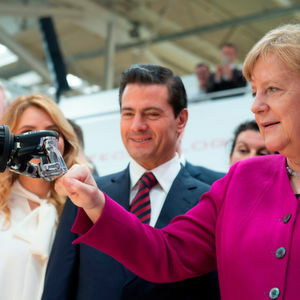 The week-long trade fair began from January 24, 2019 and attracted the who’s who of the machine tool industry. The show witnessed participation from 26 countries and also hosted seven country pavilions. Organised by the Indian Machine Tool Manufacturers' Association (IMTMA), the mega event was inaugurated by H.D. Kumaraswamy, Chief Minister of Karnataka; R.V. Deshpande, Minister for Revenue, Government of Karnataka; K.J. George, Minister for Large & Medium Scale Industries, Government of Karnataka; Vikram Kirloskar, Vice President, Confederation of Indian Industry (CII); and Ram Venkataramani, President, Automotive Component Manufacturers Association of India. IMTMA leaders including Jamshyd N. Godrej, Chairman, Exhibitions – IMTMA; P. Ramadas, President, IMTMA; Indradev Babu, Vice President, IMTMA and V. Anbu, Director General & CEO, IMTMA spearheaded the inauguration ceremony. On the state’s policy front, Kumaraswamy mentioned that Bengaluru was historically a manufacturing hub and is making its mark as a startup and biotech hub as well. He opined, “to give impetus to the aerospace vertical, the state of Karnataka has announced an aerospace policy that has identified investment potential of around 10 billion dollars in the sector during 2013-2023 which is expected to give a boost to the manufacturing industry in Karnataka.” All the guests present at the inauguration were left high on motivation. In such a positive market, a mighty display of turning, grinding, drilling, boring, milling machines; machining centres; CNC multi function machines; special purpose grinding machines; tool grinding machines; etc was showcased at the event. In addition to this, ToolTech, a concurrent event showcasing machine tool accessories, metrology and CAD/CAM cutting tools, tooling systems and current trends in the tooling industry was also displayed at the trade fair.